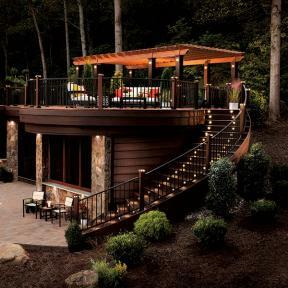 What can deck lighting do for you? 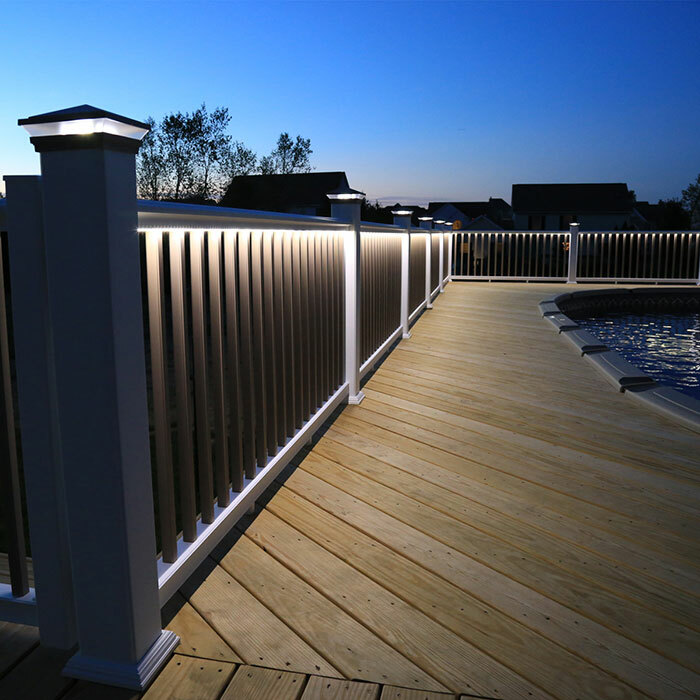 Bring your deck and backyard to life by adding lighting from DecksDirect! Deck lighting is a fantastic way to accent your backyards features while providing safety for your friends and family. Help your deck be the best spot in the house, day and night, by using deck and landscape lighting to create a unique outdoor space that’s entirely your own. With our wide collection of styles and designs in stock and our step by step Lighting Guide, the hardest part may be getting your guests to leave! 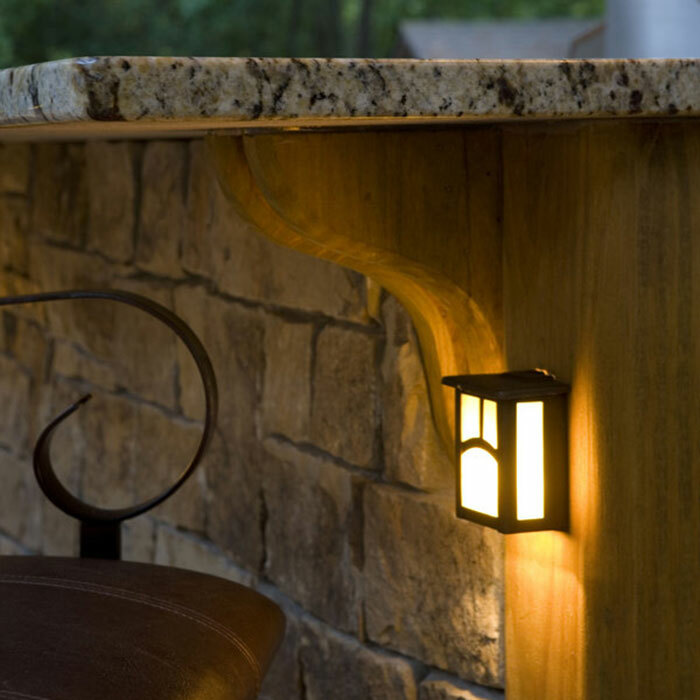 A gorgeous way to both complete and protect your railing is with eye-catching post cap lights. These cap lights seal off your posts from any damaging debris while adding detail throughout the day, and a lovely ambiance at night. 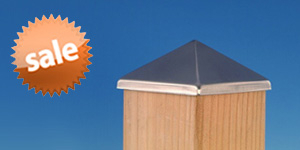 Choose from our wide range of solar or low voltage post cap lights to illuminate your deck perimeter. 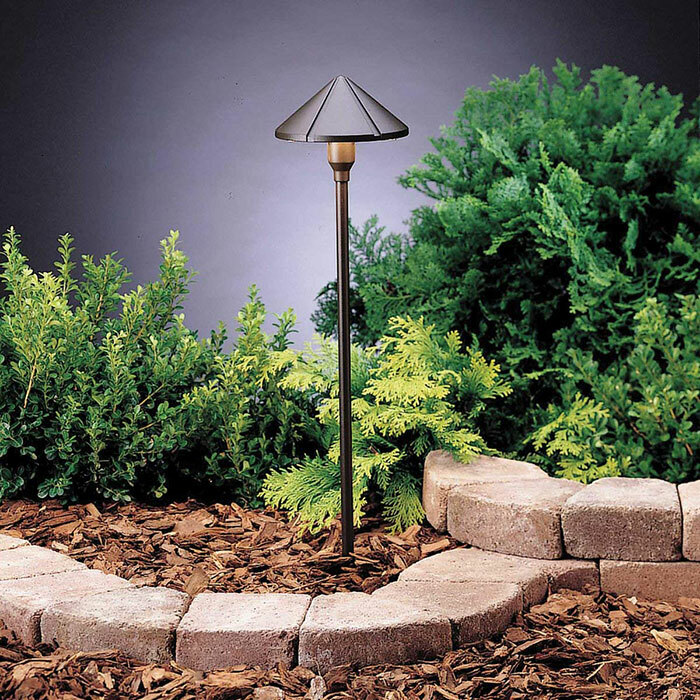 Cast a gentle glow down your posts easily with side mount lighting fixtures. 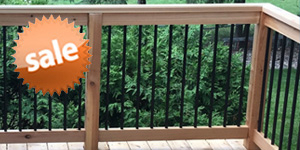 A great addition to any railing that has a continuous top rail or an efficient way to add subtle lighting and highlight certain areas of your deck. 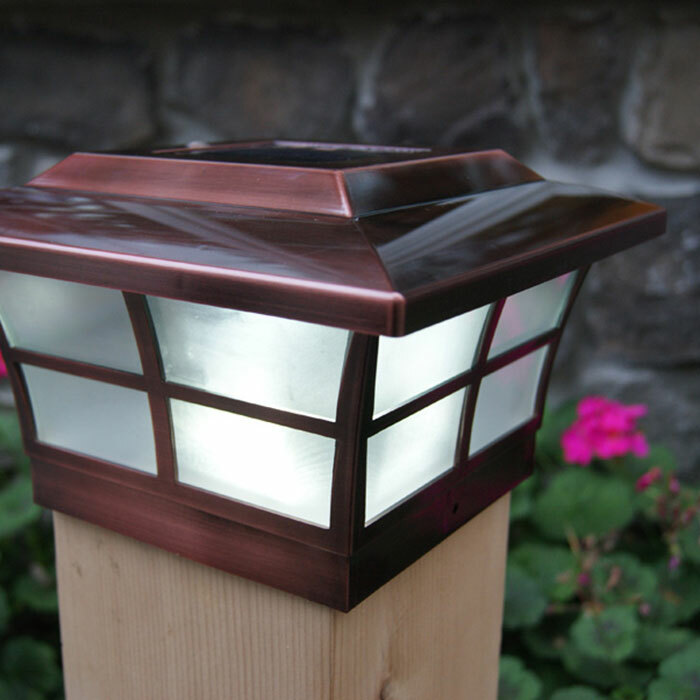 Help your deck make a statement by adding distinctive low voltage or solar post mount lights to your area. 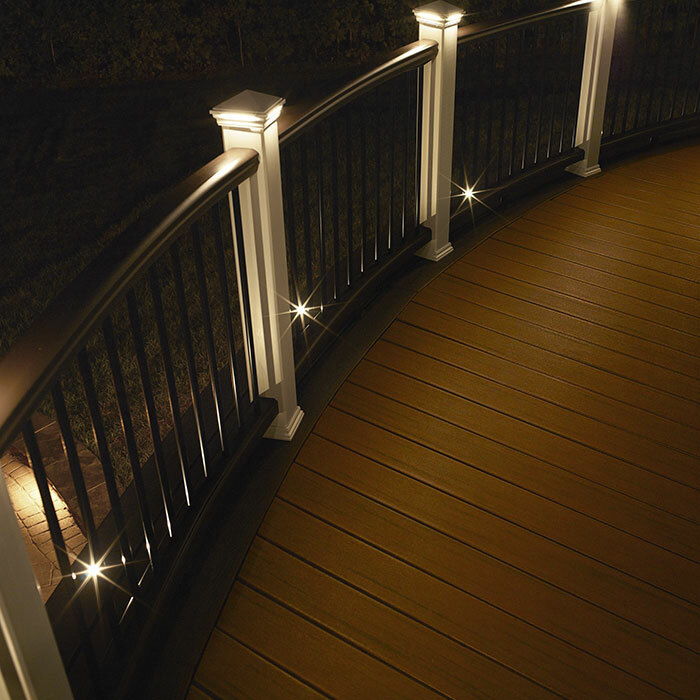 Illuminating cramped spaces, outdoor cooking areas, even midway through long railing spans; under rail lights allow you to brighten up certain sections of your deck easily. 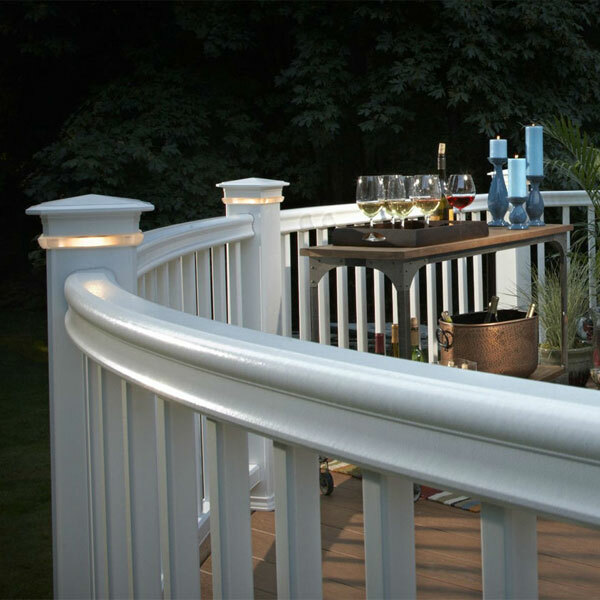 Low-profile in their design, under rail lights help you to highlight your deck at night without stealing the focus throughout the day. 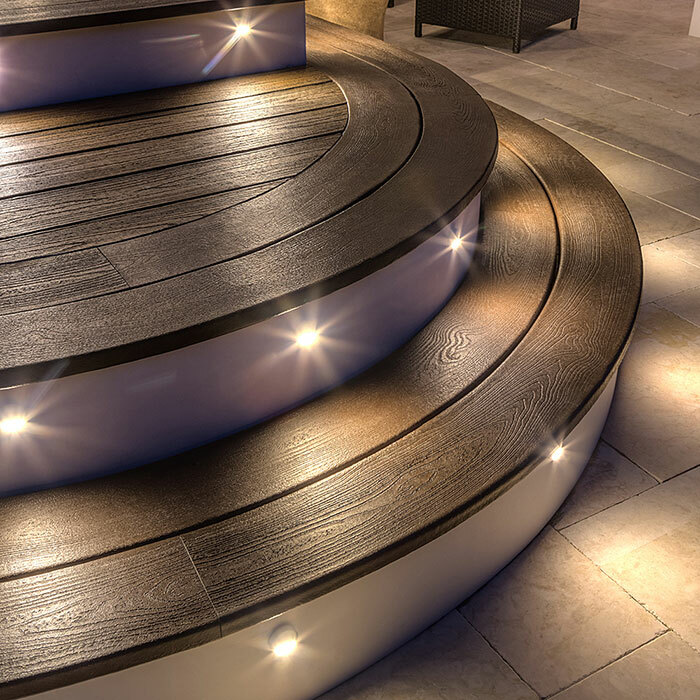 Add discreet lighting to your deck easily, with under rail lights from brands you’ll love. 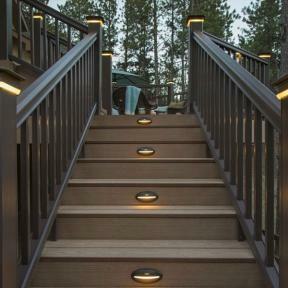 Protect your family and friends by brightening up high traffic areas with unobtrusive stair and step lighting. 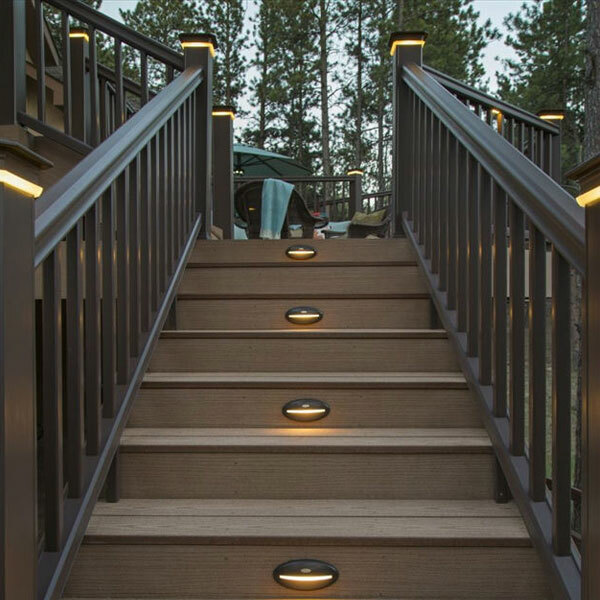 Easily mount lights in the risers of your stairs, along your deck perimeter, or directly into your deck boards to accent other features. Browse through styles ranging from subtle recessed lights to strikingly designed riser lights to find the best look for your home. 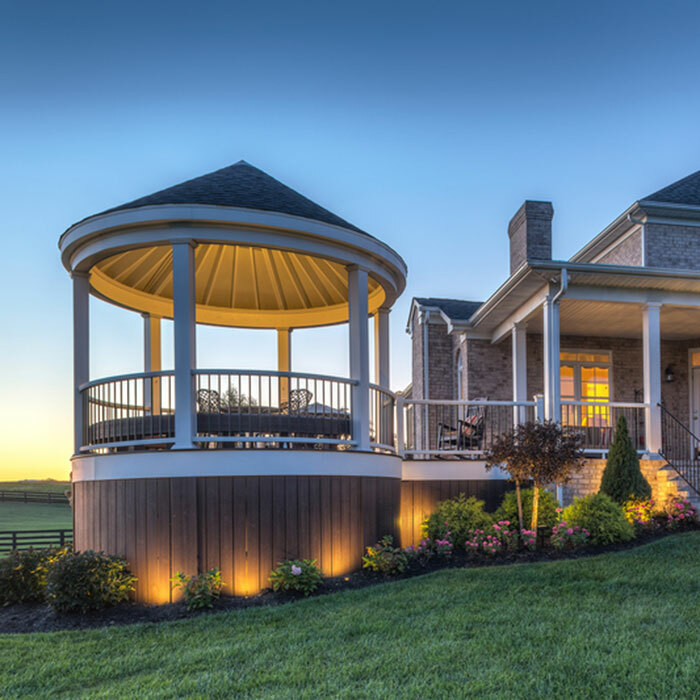 Let your yard leave an impression with a dynamic landscape lighting arrangement! 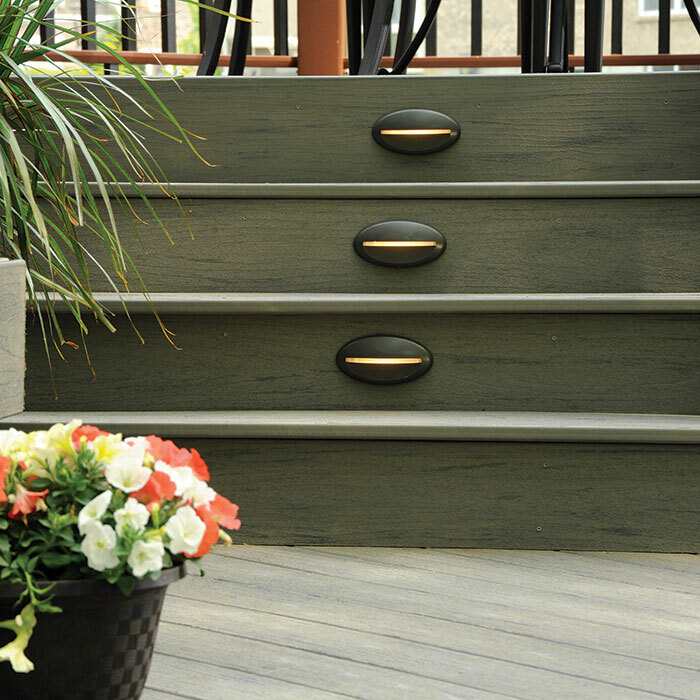 Positioning lights around the base of the deck, walkways, gardens can both accentuate your space while helping people find their way. A wide range of light spreads such as path, wall wash, accent and more are available to help light up your nights. 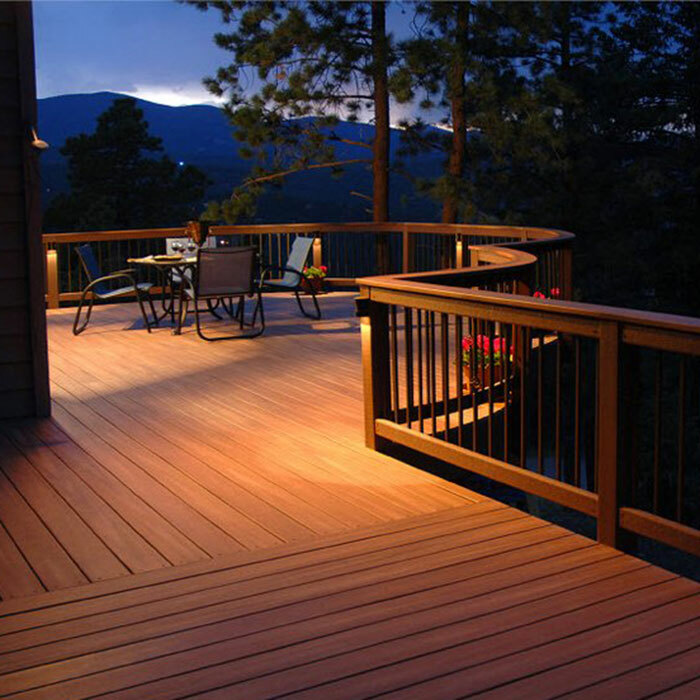 Low-voltage deck lighting is the most reliable and consistent lighting type available today. All low-voltage fixtures require the use of a transformer that plugs directly into your standard wall outlet (GFCI outlet) and converts your home’s standard 110 volt energy down to a more workable 12 volt current level. Since the electrical current is so low for these fixtures, no electricians are needed for installation. 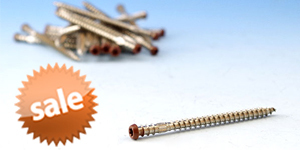 We recommend installing them with the power source on to ensure there aren’t any wiring issues. Low-voltage lights can also be used with dimmers and placed on hourly timers, allowing you to customize your outdoor space as you wish. Low-voltage lighting is typically run by LED bulbs, which combined with the reduced energy level, provides you a long-lasting and environmentally friendly way to brighten your yard. 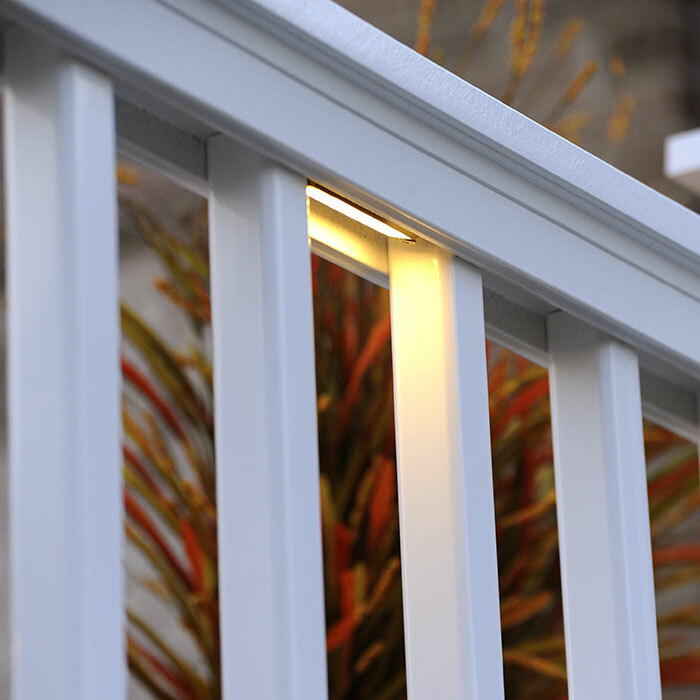 Installing low-voltage lighting is recommended for new deck construction or when railing is being replaced due to the ability to tuck away and hide wires and connectors. For an uncomplicated and cost-effective way to illuminate your deck, Solar lighting is a customer favorite. Only two solar fixtures, the side mount and under rail lights, need to be connected to a solar collecting post to run. With little to no wiring, and zero electricity or transformers, Solar lighting installation can be done in minutes. Ideal for areas that regularly get an abundant amount of direct sunlight; these lights use a solar panel to convert sunlight into energy for the batteries to run the lights. These Solar light fixtures are run via a photocell which will turn the lights on when the ambient sunlight is low. 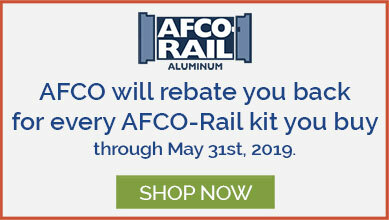 Low-maintenance, these Solar lights only require an occasional cleaning of the solar panel and the replacement of batteries every one to three years depending on the run time and climate of the area. Solar lighting is not compatible with dimmers or timers. 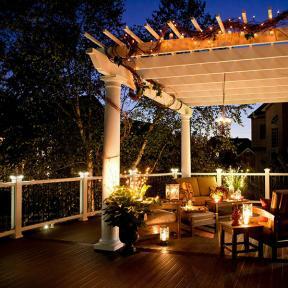 Solar deck lighting is a superb, environmentally friendly choice for decks both new and old as hiding wires and connecting to a power source isn’t an issue.